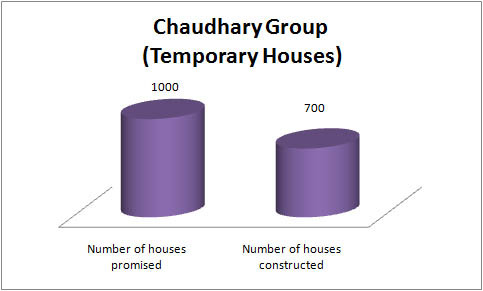 Chaudhary Group (CG), which had promised to construct 1,000 transitional homes for earthquake victims, has said it has so far constructed and handed over 700 such homes to the victims in Bhaktapur, Lalitpur, Kavrepalanchowk, Kathmandu and Sindhupalchowk districts. CG aims to hand over a total of 1,000 homes by the Dashain festival [which starts mid-October], according to Madhusudan Paudel, general manager of corporate affairs at CG. 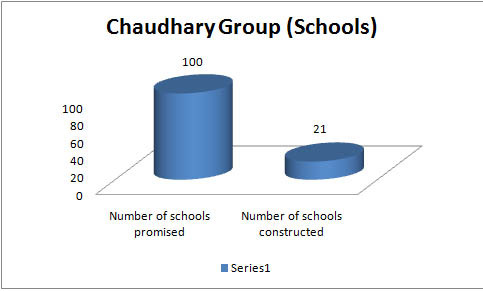 After the earthquakes, the organization had also promised to build 100 schools in 14 earthquake- affected districts and has already constructed and handed over 21 schools in Kavrepalanchowk, Sindhupalchowk, Gorkha and Bhaktapur. 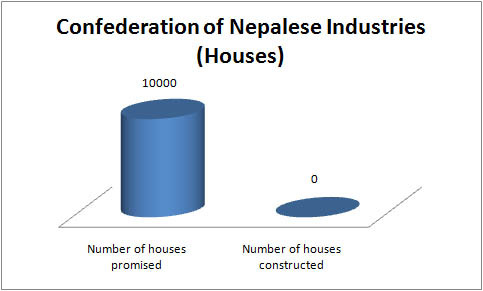 On the other hand, the Confederation of Nepalese Industries (CNI) hasn’t been able to build any of the promised houses for earthquake victims. 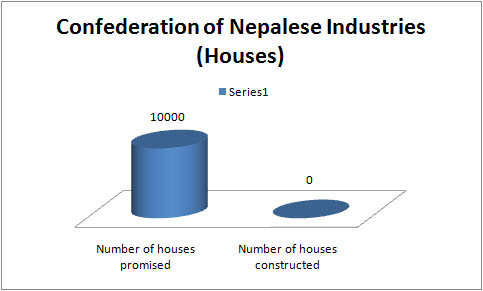 CNI had promised to construct 100,000 houses. 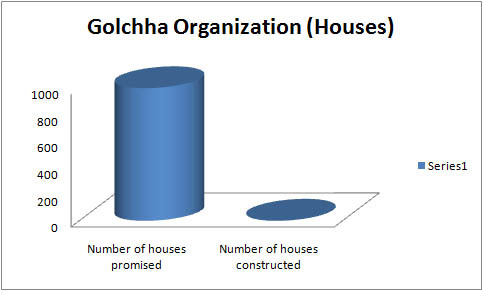 Likewise, Golchha Organization had pledged to build 1,000 houses in collaboration with Habitat for Humanity, a non-governmental organization. Sushma Shrestha of Habitat for Humanity, said they have so far constructed just one model house for demonstration purpose and blamed the failure of the government to form a reconstruction authority and bring necessary directives for the delay.